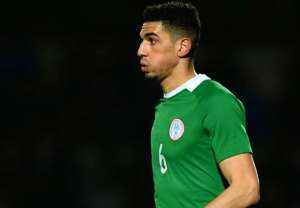 Super Eagles defender, Leon Balogun, has said he has no regret choosing Nigeria over Germany, but admits it would have been hard to turn down the World Champions if they came calling. In an interview with OmaSports, Balogun who plays for Mainz 05, insists he always dreamt of playing for Nigeria as a kid, even though he was born in Germany. When specifically asked what he would have done if he had to make a choice, he replied: “I can’t really tell because I’m very proud of both sides and for me while I was young and I was playing those video games, I always prefer to play with Nigeria. “‎Because when you remember your first question how it was for me to grow up in Germany, you feel the difference sometimes, that’s what I said, and I think that is the point that connects me to Nigeria more because even though I’m German and Nigerian, that’s why you always have this strong connection to the other side. “So this is very been difficult (to choose between both nations , if they had called him up same time) because as a footballer you want to be successful, and we don’t have to lie about it, Germany always have the assurance they’re going to go far. “But this is a very good question because as I said in video games I always prefer Nigeria, I also had dreams of playing for the Super Eagles one day, of course with the successes in Nigeria, in Germany you see better opportunities. Balogun started for the Eagles in their 4-0 win over Cameroon last Friday and is expected to be in the first 11 for the reverse leg in Yaounde on Monday evening.